This can be divided into two categories: a) The Zodiac: this has to do with the month in which we are born and b) Horoscopes: these are our everyday almanacs that depend on the position of the stars. Description: There are twelve signs (one for each month). They are called Libra, Scorpio, Aries and so on. People who concern themselves with these believe that: depending on the month in which you were born, you will belong to a certain zodiac sign. And depending on the sign you belong to, you’ll have the particular character that goes with it. In other words, what you are doesn’t depend on you but on your zodiac sign. The influence of each sign begins on the 21st of each month and runs through to the 20th of the following month. Scorpio, for example, belongs to November. Its “reign” begins on October 21st and ends on November 20th. So if you were born during that period (even at one minute past twelve on the morning of October 21st), then you’ll have the character associated with Scorpio, the main feature of which is treachery! Naturally, it’s hardly your fault that you’re like this. You’re the victim! Your sign is to blame, the moment of your birth. If only your mother had gone into labor a bit earlier and you would have been born at one minute before 12 on October 20th, and you would have been a Libra. Then you would have been different as a person and had a different character. You would have been straightforward and kind, all because of your good zodiac sign. If a friend of yours has the same sign, then he or she will have the same character as you. If there are any differences, they will be due to the fact that you were born on different days and different times (horoscope comes from the Greek and means “to look at the hour”). Questions: What about twins, who have the same zodiac sign and the same horoscope but are nonetheless different? One might be patient, the other rash; one might be devious, the other straightforward, and so on. What does that make of the claims of the zodiac and the horoscope? On the other hand, some people have quite different zodiac signs, yet display very similar characteristics. How can that be explained in terms of the zodiac? Let’s say there are identical twins with the same zodiac sign and the same horoscope and the same characters. The one is just as grasping and impious as the other. Then one of them “sees the light” and becomes a generous, believing Christian, even a monk or nun. Yet the other one remains just as he or she always was. How can that be explained? If, for example, you’re a Scorpio and you want to rid yourself of the supposed treachery associated with this sign, do people really believe that the zodiac sign itself could prevent you from doing so? In brief: Our personality is not formed by outside agencies, but internal factors such as our way of thinking and our will power. Woe betide us if we were controlled robots dependent on inanimate objects (zodiac signs and horoscopes)! Those who deal in astrology believe that your horoscope determines the everyday events in your life, and even your future! In other words, that whatever might happen to you in the course of your life is written in your horoscope. So there’s no point in worrying about or striving for a better future. 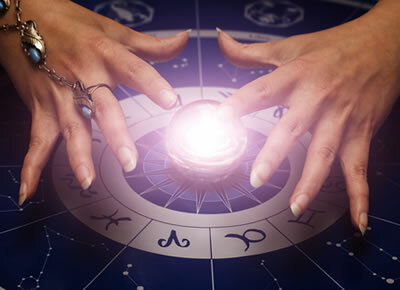 Astrologers who delve into your horoscope can tell you your fortune. There was one in Greece who used to advertise: “Through your horoscope, I can foretell the course of your life.” Hogwash! How about that for a shining example of faith! How about that for an admirable example of rationality! It’s people who are neither faith-filled nor rational like that who believe in horoscopes. Is It Possible? : Stars are inanimate. And that’s not all. They’re millions of light years away. If they had eyes, they would see the enormous earth as a tiny speck, if at all. Imagine how they would see you, who live on this tiny speck. They would see you as minute: Are we really being asked to believe that INANIMATE, dead stars could be bothered with the future of something so minute? At the end of 1987, astrologers told the “fortunes” of some prominent people for 1988. - For the then powerful Mikhail Gorbachov they said: “In 1998, he will divorce his wife, Raisa.” Well, it didn’t happen. They were still a devoted couple when Mrs. Gorbachov passed away in 1999. - For Christina Onassis they foretold: “In 1988, she’ll remarry.” In 1988, Christina Onassis died! - Girolamo Cardano (1501–1576) was an eminent mathematician, physician and please note, an astrologer. He cast horoscopes for many famous people and then for himself. Having predicted that he would live 75 years, and being still in robust health when the time came, he saved his reputation by the simple expedient of committing suicide! Mediums and people who tell the future from cards, tea-leaves or coffee-grounds all declare that they have the “gift” of tracing a certain person, or that a particular family has been cursed and they can find out who cursed them. In truth, though, aren’t they really just making fools of ordinary people? “For the money”, they replied. They confessed, in all sincerity, that they had deceived people. “Behind mediums (and so on) you will find deceit and greed,” as the late priest notes from his experience as a confessor. These dabblers in the occult also proclaim that they can find a certain person or object for you. Really?! Since they are so clever at finding people, why don’t they use their powers to help the police locate people who are a menace to society? There are plenty of rewards for finding people who are on the run. This could be a very lucrative business for them! No doubt they would like to, but they can’t. All they can do is make people look like fools. In 1969 there was a man in Athens who was smitten in love for a married woman. He was absolutely set on marrying her, but she wouldn’t hear of it. One day he tricked her into getting into his car. He took her up onto Mount Parnassos. No doubt, he tried everything he could think of to get her to change her mind, but it appears she remained adamant. The upshot was that at some point he wrenched the steering-wheel over and drove off a cliff, sending them to their deaths on the rocks in a ravine 700 meters below. At home, the family awaited the woman’s return. One day went by, then another. There was no sign of her. Her mother had recourse to a medium. She paid handsomely. All she wanted was to find out where her daughter was. The answer was: “Your daughter’s alive and well. At this very moment she’s walking along a street near Piraeus.” When you visit these “seers”, it costs you. They make a fool out of you and, on top of that, you pay them. You give them a lot of money and it doesn’t seem unreasonable. You think nothing of it. But if a priest comes and reads a service for you, you give him “something” tiny and then never stop complaining about having to pay him. People who read tea leaves, coffee-grounds or cards and so on, say that they can tell your future. As if it were possible that your secrets and your future could be contained in a cup or a pack of cards (a pack of lies, more like it)! They can’t even find out what’s happened in the past, so how on earth are they supposed to tell the future? Remember: if you visit them you pay. So they want money. What for? Why don’t they use their powers to “foretell” the winning number in a lottery, or to bet on the surprise outcome of a soccer game or horse race? If they did that, they wouldn’t need to ask for money from their clients. They’d love to, of course, but they can’t. All they can do is to be on the watch for simpletons. St. John Chrysostom says to those who believe in such nonsense: "Bring me one of these fortune-tellers and have him tell me what’s going to happen tomorrow." 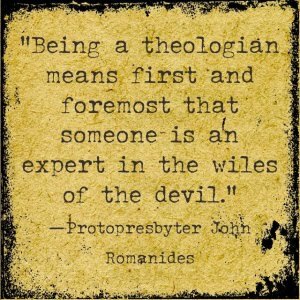 As Fr Haralambos said above, “Behind mediums (and so on) you’ll find first deceit and greed”. That’s the first point. But there are other points as well. Victor H. Ernest, a well known former medium, at a spiritual séance asked a wicked spirit whether it believed that Christ was the Son of God; that He was the Savior of the World; that He had died on the Cross; and that He shed His blood for our sins. All at once, one of the other mediums, who was in a deep trance, sprang up from his chair. But that wasn’t all. He then collapsed in a heap on the floor groaning loudly as though he were suffering unbearable pain. Ernest goes on to reveal that he was given first aid and managed to come round. Why was this medium (the devil in him) so upset? Why did he have a panic attack? Why did he faint? Why did he suffer so much? It was because the others were talking about his enemy, namely Jesus Christ and the Cross. After this, Ernest had nothing more to do with “spiritualist séances”. What’s more, he repented and returned to Christ. Conclusion: Behind mediums and the like, first and foremost there’s Satan. In other words, all these fortune-tellers and seers are at work for the devil. They blindly do his bidding.